Gold refinery. 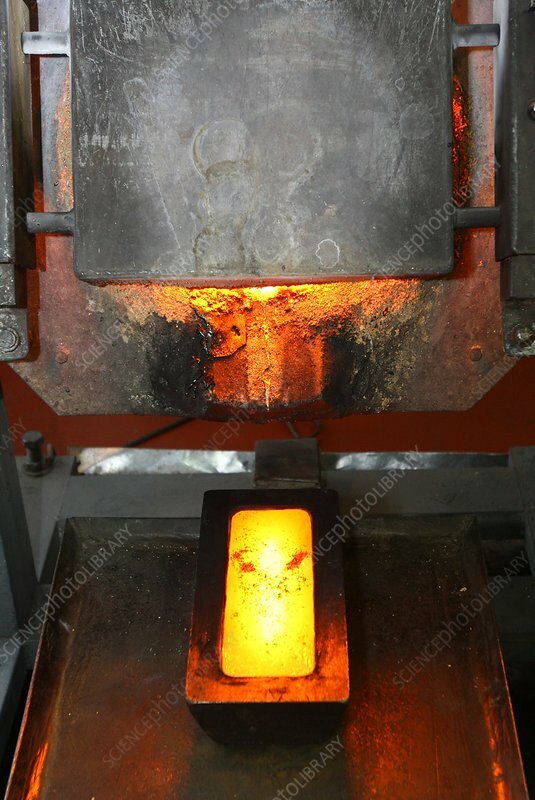 Gold bar being cast at a refinery. Photographed in Krasnoyarsk Krai, Russia.